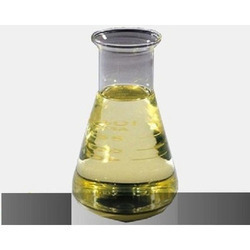 With enormous experience in this domain, we have established ourselves as the most reliable manufacturer of premium quality Corrosion Inhibitor Chemical. 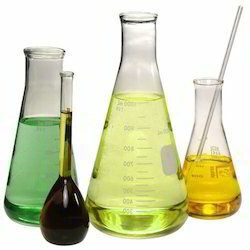 Owing to our in-depth industry experience and precise knowledge of this domain, we are manufacturer, exporter and importer an outstanding assortment of Corrosion Inhibitors. Being an eminent organization in the industry, we are involved in providing a premium quality range of Corrosion Inhibitors. - This chemcal is used for cooling tower, boiler, RO and ETP plants. Backed with huge industry experience and market understanding, we are involved in offering a wide variety of Antiscalant And Corrosion Inhibitors for our valued patrons. Backed by rich industry experience and market understanding, we are involved in offering a wide array of Corrosion Inhibitor to our valued patrons. With our in-depth knowledge of this domain, we are actively engaged in trading, exporting and supplying an excellent quality range of Corrosion Inhibitor. It is customize, non-chemical, environment friendly mono pole magnetic water conditioner for scale, rust, corrosion and encrustation prevention. A corrosion inhibitor is a series of chemical compounds, which is added to a liquid or gas to decrease its rate of corrosion. It is typically used to prevent metals and alloys from effect of corrosion. Our range of Corrosion Inhibitors forms a thin film on the surface of the metal or alloy. This thin layer stops the accessibility of corrosive substances and prevents the material from corrosion. Our formulations have combination of anodic and film forming inhibitors and they are effective even at lwo dosage levels in most cases. Due to balanced blend synergism with our formulations, corrosion rate of mild steel in various cooling waters has decreased from 20 mils per year to only2to3 mils per year I .e. practically negligible corrosion rate.